First Great Western will add an extra 4,500 seats to commuter trains running into and out of London Paddington starting from early next year. 15 of these Mark III carriages will be added to high speed trains running into Paddington. Pic via Matthew Black. 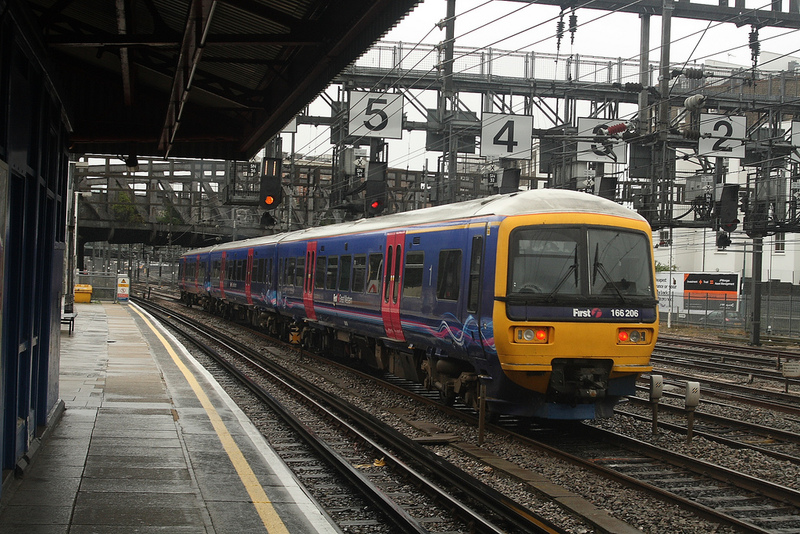 Extra government funding means a total of 48 carriages will be added to First’s services between London, Reading and the south west. New trains will start operating between Worcester and London Paddington, freeing up capacity for extra seats on Thames Valley commuter services. A total of 27 peak daily services calling at Twyford, 28 calling at Maidenhead and 23 calling at Slough will receive extra carriages. Theresa Villiers, Transport Secretary, said: “We are determined to tackle overcrowding and provide better, more comfortable journeys for passengers. These extra carriages will enable existing services to be lengthened which will significantly increase their capacity. 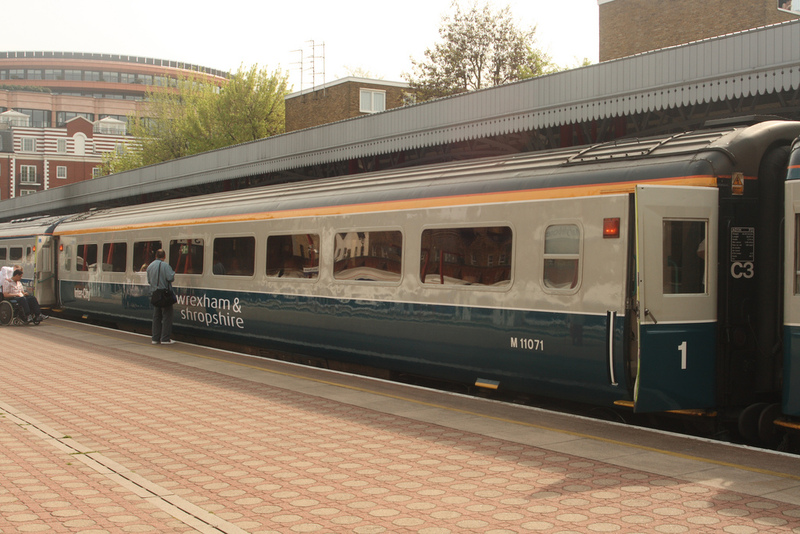 Fifteen carriages being added to the high speed trains operating out of Paddington are ex-British Rail Mk.III buffet cars which will be converted to standard class. 33 carriages will be added to other services across the areas targeted for improvement.These will be phased in between February 2012 and September 2012. The Government hopes the extra carriages will be deployed in time for next summer’s Olympic Games. The cost of improving capacity on the network will be £28.9m. Kittens and cats abandoned by their owners will be given a second chance for a loving home at a cattery’s open day tomorrow. Edwina Coda, manager of the Comfy Cats Cattery, is running the re-homing event to give people a chance to see around 18 cats left at Shaftesbury Waye, Hayes. Cat Protection Hillingdon co-ordinator Janet Campbell cited two cats, 16 and 17 years old, abandoned and fed by an elderly lady since last Christmas when the owner moved away and these cases are multiplying. Ms Coda said: “Possible reasons could be the effects of the recession with people moving out of their homes and leaving cats behind, or rising costs of keeping pets. The open day comes after an RSPCA appeal in August for potential cat owners to come forward after they were trying to find homes for more than double the number of abandoned cats than this time last year. 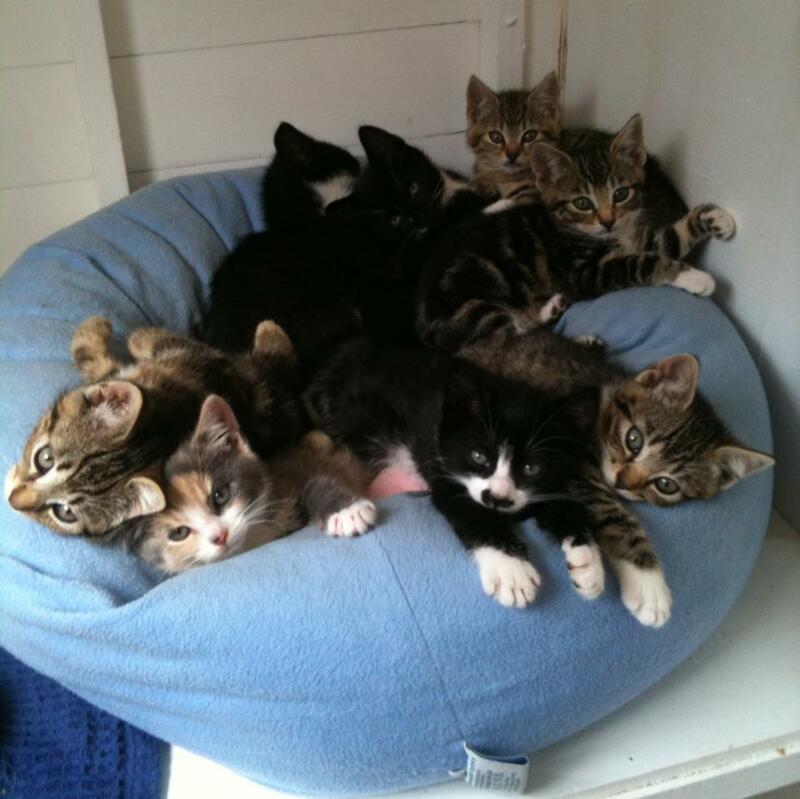 There are more than 20 cats at the RSPCA Hillingdon, Slough, Windsor, Kingston and District Branch. Among them are a litter of kittens saved by a waste collector who untied a black bag about to be thrown into the rubbish lorry after he saw something moving in it. Re-home a cat: the open day is at Comfy Cats Cattery, 3 Shaftesbury Waye, HAYES on Sunday, October 16, 12-3pm. For more information, go to www.comfy-cats-cattery.co.uk, or call 0208 848 4843. A person jumping onto a railway line from a bridge caused the Great Western Main Line to be suspended between Paddington and West Drayton earlier tonight. The unidentified individual jumped from the A437 Dawley Road bridge onto the tracks at about 10pm on Wednesday. All services between London Paddington and West Drayton stations were suspended once emergency services had been alerted. London Fire Brigade and London Ambulance Service both attended the scene. The jumper was injured but alive. Both the relief (local/stopping) and main (fast) lines were reopened by 11.45pm. National Rail Enquiries reports that delays of up to an hour are expected until the end of traffic. 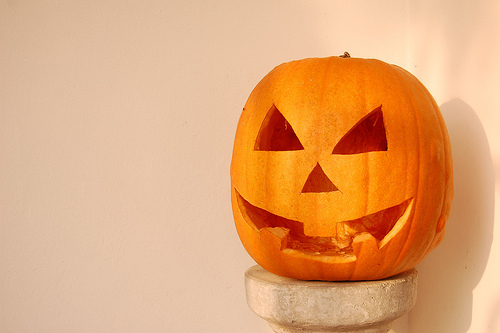 Image via Matthew Black, Flickr. 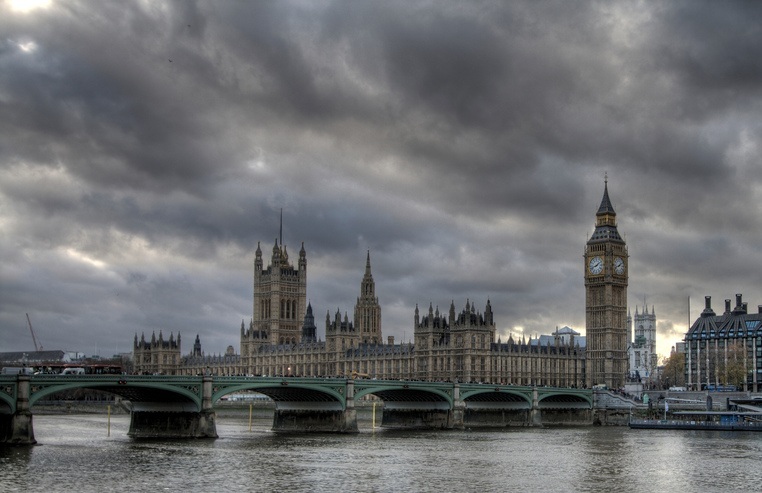 A new scheme was launched at the end of June to offer free advice and information to pregnant women around West London. The Acorn Pack, a collection of local, relevant and ethical information for expectant mothers, is the creation of Jane Woodley, a mother-of-two from Hillingdon. Jane started the company having realised that many women had regrets about their birth and early parenting experiences. Having been through the experience twice herself, she felt that there needed to be more accessible, realistic and supportive information available to all new parents. “I was fascinated to speak to other women about their birth and breastfeeding experiences. I did a lot of listening to other women from all over the country talk about their experiences and started to piece together a picture of what breastfeeding support was like in the real world, not in the poster campaign world”. “My aims were clear. I wanted to pull together the best and brightest from the world of pregnancy, birth and beyond, to stimulate debate, to empower women to expect a good standard of care, not to get through pregnancy and birth and early motherhood and think, ‘Wow. I only wish I’d known – I’d have done things differently'”. Working in partnership with the London Borough of Hillingdon and Central & North West London NHS Foundation Trust, Jane managed to secure start-up funding from Public Health to launch the Acorn Pack Antenatal. 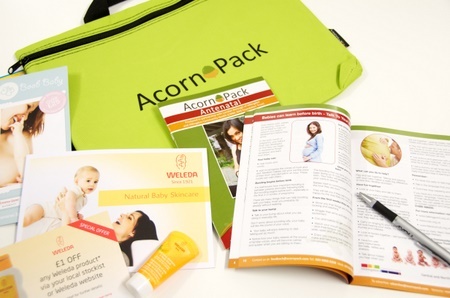 The Acorn Pack carries advertising relevant to new families and is seeking responsible corporate partners to grow Acorn Pack Antenatal and to develop Acorn Pack Postnatal. To find out more information and to read Jane’s whole story, you can visit the Acorn Pack website here.